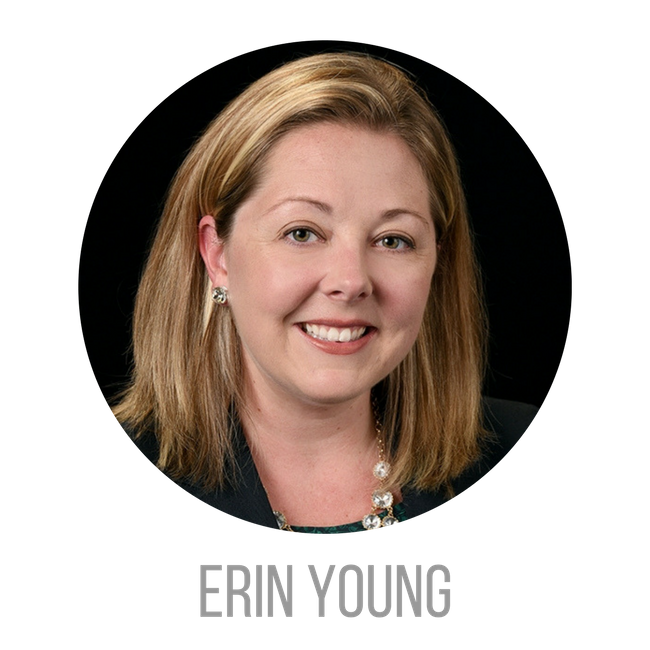 Erin Young has lived in West Chester, Ohio since 1991. She attended Mount Notre Dame High School in Reading, Ohio and went on to pursue her Bachelors and Masters degrees in Education from both the University of Cincinnati and Xavier University respectively. Erin was a classroom teacher for 13 years and uses her knowledge and experience to educate both buyers and sellers throughout each process. Erin was eager to join The Preferred Ohio Sales Team because of their true passion for focusing on what is right for clients. The Preferred Ohio Sales Team concentrates on providing exceptional service to their clients and their passion is unmatched! Just like in the classroom, Erin thrives on building long lasting relationships with her clients and exceeding their expectations. One recent client noted, “there never seemed to be too big a challenge for her to tackle and always with a smile. She came into our lives a stranger and became a great friend.” If you are looking for an experienced agent to help you buy or sell your home, Erin will make it happen! Cincinnati is a wonderful place to call home! When she is not busy selling houses, Erin and her husband Matt, enjoy taking their three daughters to Kings Island, the Cincinnati Zoo and to watch Reds and Bengals games. There’s nothing Erin enjoys more than real estate and her family! Welcome Cree Dixon to the Preferred Ohio Team! Welcome Davonne Calhoun to the Preferred Ohio Sales Team! Welcome Doris Taylor to the Preferred Ohio Sales Team! Welcome Paige Platt to the Preferred Ohio Sales Team! Welcome David Brown to the Preferred Ohio Sales Team!